Has this ever happened to you? 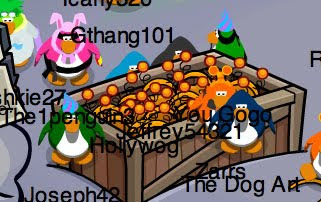 I call it the Freaky Club Penguin Ghost Glitch! This happened to me the other day. But I don't know how I did it. If you know how to do this glitch let me know. If this has ever happened to you let me know! Pretty cool. UPDATE: Some of you are saying you can do this when lightening strikes! Try it. BUT THIS DID NOT HAPPENED TO ME THAT WAY. IT HAPPENED TO ME WHEN I LOGGED ON! 5-7 PM Central Time TONIGHT! SEE YOU THERE! COOL CLUB PENGUIN GLITCH COMING LATER TODAY! 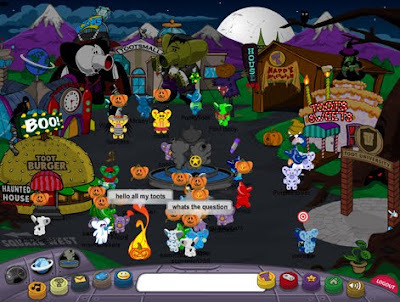 New Club Penguin Free Halloween Item! Silly Scarecrow Costume! Here is how to find the new Club Penguin MEMBER free item cheat. The Silly Scarecrow Costume! Step 1. Go to The Haunted House. Step 2. Now go upstairs on the right side. Step 3. Now click on the goodies! Why is that costume so silly? Thanks, Mellyb10. "I am most excited for seeing all the costumes on the night of Halloween. I like seeing all the crazy combinations like a ladybug and a wizard, or a very silly looking ghost. I also like the yearly (I think) candy hunt. The prizes are very cool." 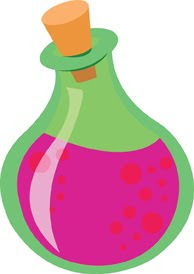 For next weeks Review, Club Penguin wants to know what we think is going on at the Ninja Hideout with the Volcano. Sweet, maybe I will submit my Treat Shop theory. I could really use the 10,000 coins! ! 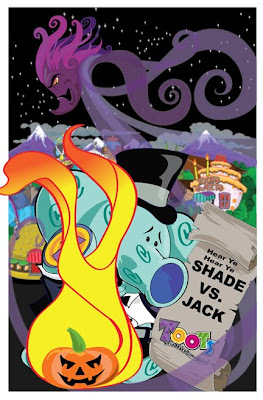 So, be sure to let me know all your ideas about what is going on at the Volcano, too! Congrats to all the Igloo Decorating Winners! The Runner-ups are: Deno Rock, Mowglie1995, Musicdiva23, Ziggycoolguy, Strace1, Profesor Dan, Pille23, Kiwikid1, Huxlee, Acc The Bad. Winners received 50,000 coins and Runner-ups received 25,000 coins! That's awesome! Good job everyone! '"Night of the Living Sled" is back. Yes, Club Penguin's funniest scary movie continues at the Lighthouse! If you weren't here last year, you can watch 1 and 2 at the Coffee Shop and Night Club. 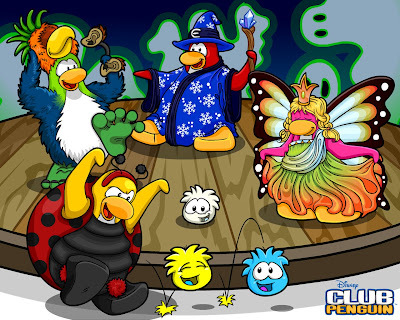 Last, but not least, Club Penguin is dark and stormy! Enjoy it while it lasts! It's a perfect time of year to play Hide and Seek with your friends." I think it is usually pretty cool when Screenhog gives us some insight into Club Penguin, but, didn't we already know all of this? Come on Club Penguin give us some more coolness! Tell us something we don't already know! Who's with me? Hey! Have you ever been to the REAL Screenhog's site? Click here! 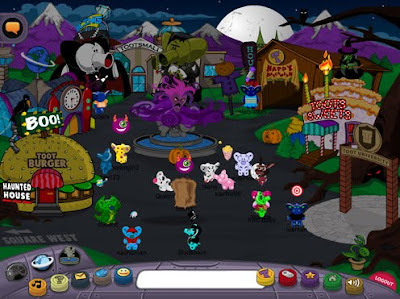 Here is a pretty fun Club Penguin halloween Party Quiz I made. See if you can be one of the first 131 to post the right answers. I will warn you, they are kinda tricky. 1. How many musical instruments are in the Haunted House? 2. 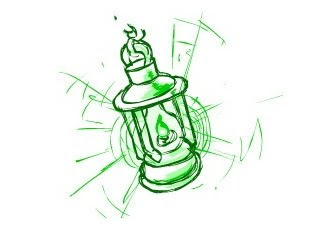 How many skeletons are in the Light House? 3. Is there a Spider web in the Cove? 4. In what room can you click a Jack O Lantern to make lightening? 5. How many candles are in the Haunted House? 6. How many Jack O Lanterns are in the Coffee Shop? 7. Is there a "Puffle" at the Beach? 8.How many Jack O Lanterns are at the Ski Village? 9. In what room do the Jack O Lanterns have hair? 10. In what room does the spider have yellow legs? 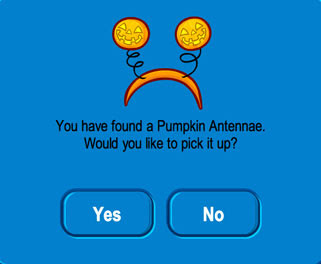 There is a free Pumpkin Antennae at the Plaza! The Haunted House is a cool member only room. Sorry non's! If you go upstairs in the Haunted House, you can get a FREE item. A pumpkin head! 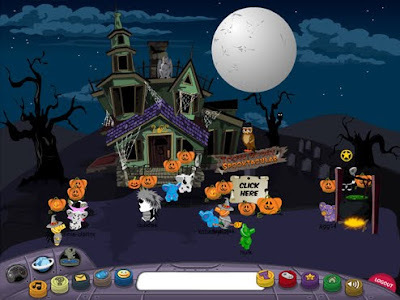 Click on the Jack O' lantern in the upper right corner to begin the hunt. 1. Go to the Lodge Attic. 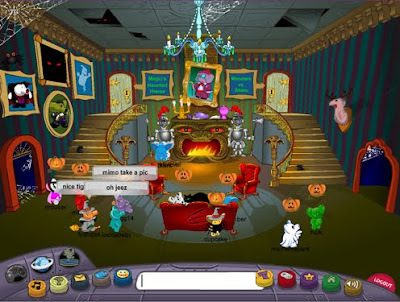 Click on the Jack o lantern in the left back corner between the two couches. 2. Go to the Dock. Click on the Pumpkin in the right back corner. 3. Go to the Pet Shop. Click on the Chandelier. 4. Go to the Cove. Click on the book that is on the billboard. 5. Go to the Pool. Click on the Jack O' lantern hanging from the ceiling. 6. Go to the Soccer Pitch. Click on the stadium light on the right side. 7. Go to the Forrest. Click on the bushes that "rumble" in the middle back. 8. Go to the Mine. Click on the slime pit in the front right corner. There you have it. You have completed the Candy Hunt! Congratulations! Click "Claim Prize" to get your new background. This is awesome! I am loving it, how 'bout you?